If Prince Charming had been on social media, could he have found Cinderella quicker, skipping those unproductive shoe fittings and avoiding the three ugly stepsisters? The two characters in British retailer Debenhams’ new holiday ad use social media plenty in an effort to reunite following a fleeting moment on a crowded train—hashtagging away with #findmyshoe and #findthatgirl—but they still can’t connect. So many near misses! It takes Ewan McGregor to finally bring the lovely couple together. It’s the holiday advertising season in the U.K. (uncontroversially called Christmas there), when agencies and marketers bring out their biggest guns for their version of a Super Bowl-style commercial extravaganza. For its 90-second mini-movie, Debenhams and J. Walter Thompson London hark back to the original Cinderella from 1697, creating no licensing problems with Disney and putting a modern spin on a dropped stiletto, a handsome dude and a gorgeous gal. Even with Twitter, the two can’t make their way back to each other from that first meeting on Christmas Eve. But eventually fate takes over, but you could also credit a Hollywood (Scottish) actor for the woman bumping into her potential love match and reclaiming the missing mate to her sparkly heels. The ad, from director Hanna Maria Heidrich, was shot in Budapest and used a vintage steam train but had to import the snow. McGregor’s pivotal cameo comes at the end (it’s obvious then that he’s narrated the spot), and he has the last word on whether it’s a happily-ever-after story. “Who knows?” he says, which keeps the piece from being too sugary. Debenhams plans to carry the fairy-tale, winter-wonderland theme through its 175 stores this season, with employees acting like fairy godmothers and doling out glass slipper decorations, coffee and gift cards at the stroke of 12 noon. There will be in-store performances from pantomime troupes and selfie stations. The retailer is also selling limited-edition crystal-studded stilettos (from designer Jenny Packham) for about $130. 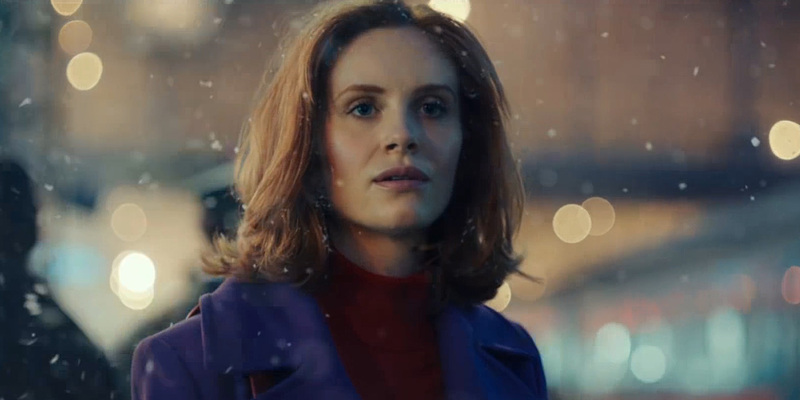 The ad, competing with high-profile campaigns from John Lewis (“Moz the Monster”), Marks & Spencer (Paddington Bear) and others, will stretch across TV, outdoor, print, digital and social media.